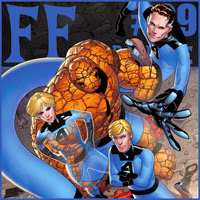 Antony and Paul have been gone for a couple months, but the Fantastic Four is back in blue! Join the guys as they discuss the latest three issues of the FF. Month in F - Fantastic Four #12, Fantastic Four #13, and Fantastic Four #14.